It's hard to believe another year has gone by! In 2016, we've produced over 100 articles with tips, tricks, and new ideas to improve customer service, staff efficiency, and profits. These are the most loved blogs we published. Here, you'll find our most popular articles, condensed into one handy digest! 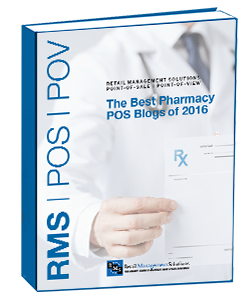 Once again, The RMS Blog has been ranked in the top 3 of the best pharmacy blogs - here's your chance to read the best of the best! Hopefully these articles will inspire and help reinvent how you approach your pharmacy in 2017 and beyond! Fill out the form on the right to download this ebook today! I can't wait to read this! Please send it to me!